With a devoted clientele following, Oksana is known for her professional expertise and immediate results. With direct training under master facialist, Anne Semomin, she is able to diagnose every individual skin type and provide treatment that will refresh even the most troubled complexion. Oksana's renowned manicures have gained her recognition from the "Best of New York" issue of New York Magazine and have attracted celebrities among the likes of Carl Bernstein, Martha Stewart, Kate Spade, Sigourney Weaver, Charlize Theron, and Catherine Deneuve. 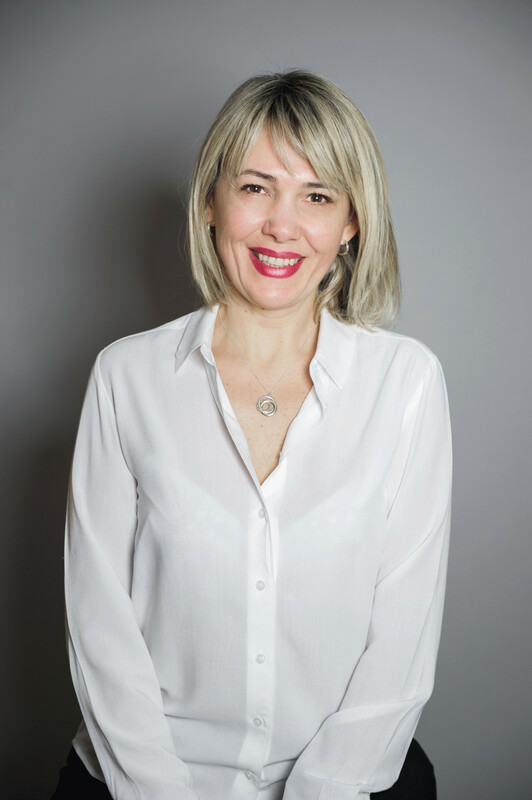 Oksana has honed her skills during her many years at Julien Farel and offers the best techniques for hair removal. She is able to accent and shape eyebrows and her Brazilian bikini waxes are renowned throughout New York City, since she promises a gentle and quick finish as well as permanent results with electrolysis, offered as of fall 2007. She prides herself on her client's consistent satisfaction and continues to promote the health, well being and beauty of her services at the salon.